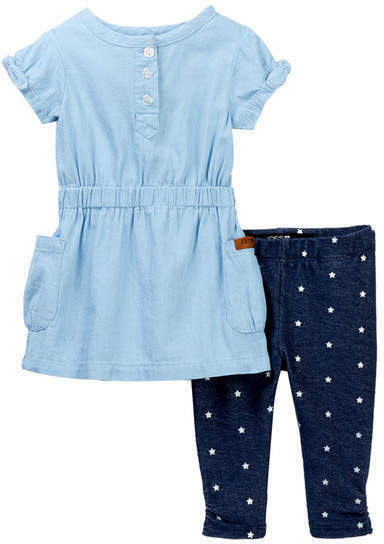 Suggest that your little one wear a white gilet and Joe's Jeans dress star leggings set for a fun day in the park. This outfit is complemented nicely with gold sneakers. 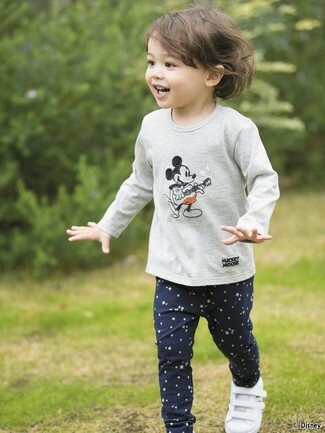 Go for a grey print long sleeve t-shirt and Joe's Jeans dress star leggings set for your daughter for a fun day in the park. As for footwear your darling will love white sneakers for this style.